A stunning sterling silver bracelet with a disc with the words Mama and a silver star. 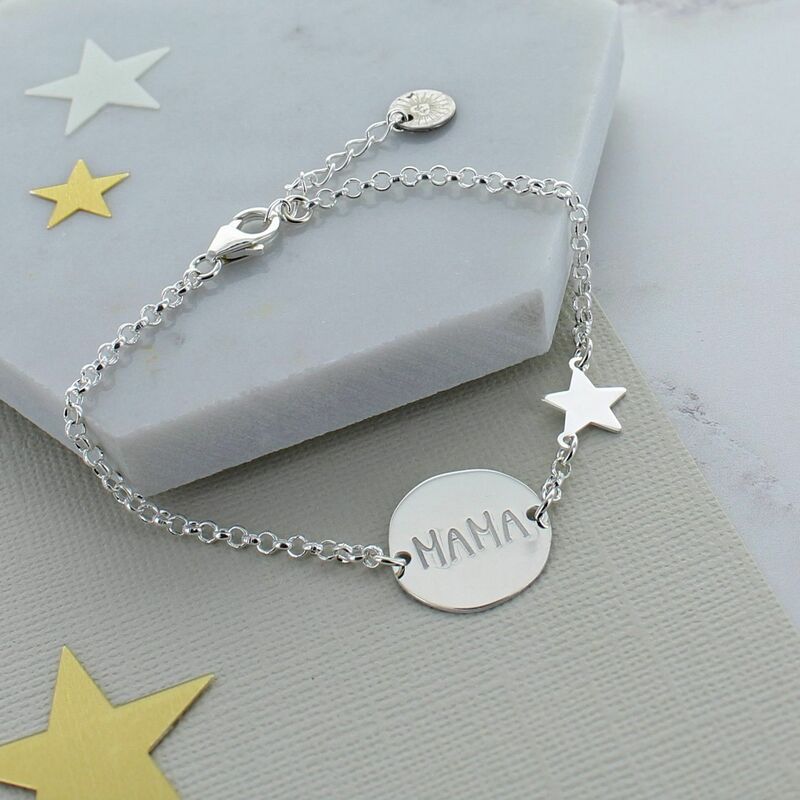 A stunning sterling silver bracelet with a disc with the words Mama and a silver star would make a great gift for anyone of any age. It would make a great birthday gift.